Luxury label Prada, best known for its high-end, high-fashion, and even higher priced goods, has made a foray into locally made artisanal products. Its new “Made In” series, distinguished by a tag that broadcasts a garment’s country of origin, pays tribute to time-honored craftsmanship around the world. Working with native producers, the Italian fashion house resurrected regional skills, materials, and techniques to create four collections as distinct as the cultures behind them. The result: Tartan wool kilts from Scotland, embroidered sandals from India, bespoke denim from Japan, and alpaca knitwear from Peru. Prada’s “Made In” series pays tribute to time-honored craftsmanship around the world. “Made in” doesn’t offer facsimiles of heritage wares, however; rather, Prada has taken the old and ushered it into the modern age. Using this approach, the label enlisted some of the original U.K. workshops to make tartan wool kilts. In Japan, Prada worked with Dova, a denim manufacturer, to create customizable jeans in four varieties of cloth and seven washes. 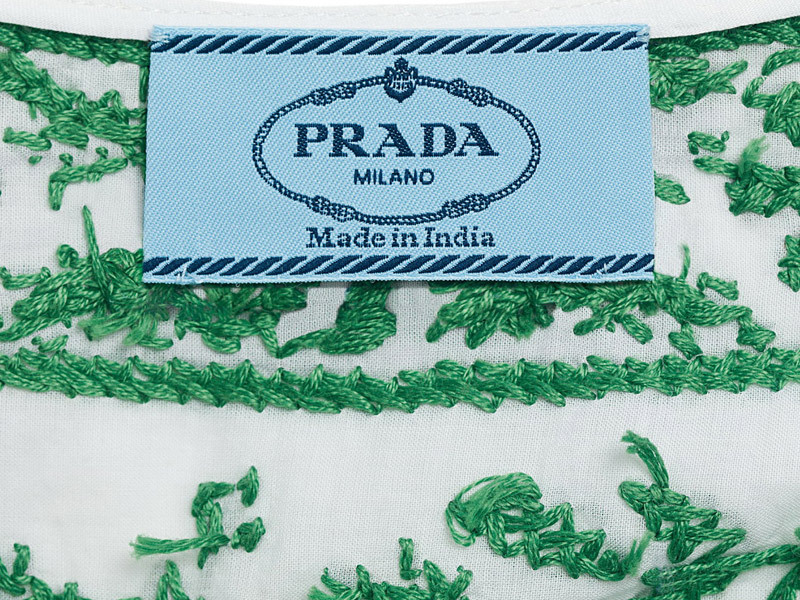 Prada’s India partner, which specializes in Chikan, an ancient and refined type of Indian embroidery, produced multicolored ballerina flats, sandals, and handbags—all handmade. 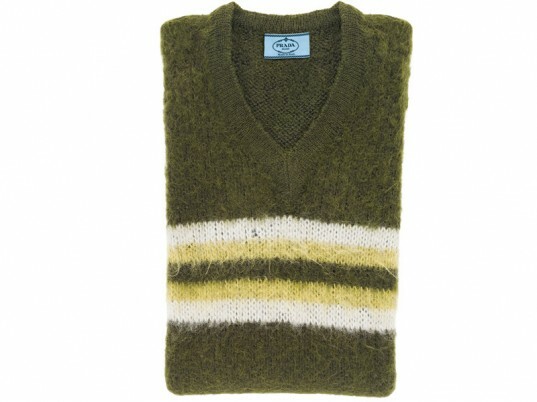 Finally, “Made in Peru” features a collection of alpaca knits using artisanal techniques from traditional Peruvian workshops. Luxury label Prada, best known for its high-end, high-fashion, and even higher priced goods, has made a foray into locally made artisanal products. Its new "Made In" series, distinguished by a tag that broadcasts a garment's country of origin, pays tribute to time-honored craftsmanship around the world. Working with native producers, the Italian fashion house resurrected regional skills, materials, and techniques to create four collections as distinct as the cultures behind them. The result: Tartan wool kilts from Scotland, embroidered sandals from India, bespoke denim from Japan, and alpaca knitwear from Peru.